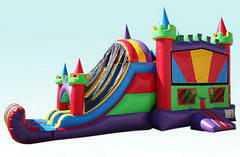 This brightly colored combo bounce house rental is sure to make any good party, great. 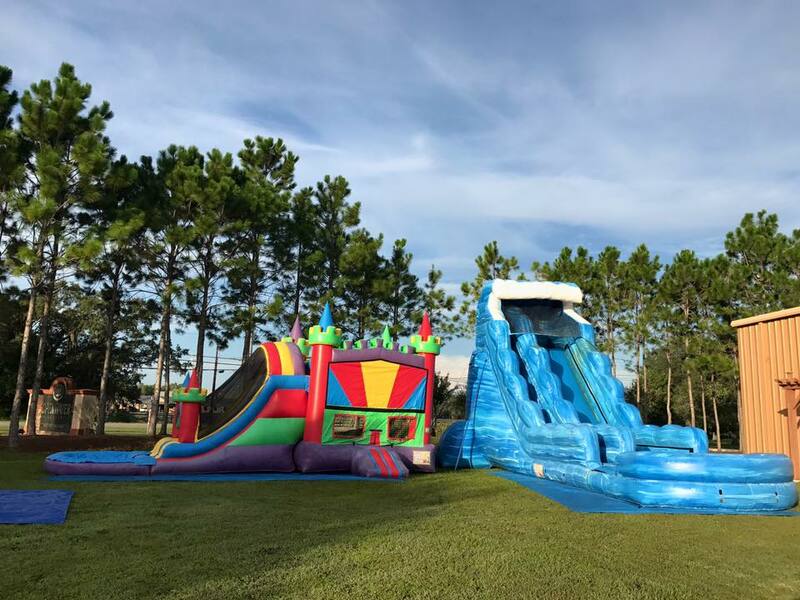 This Bounce House Rental, features a multitude of colors and activities for your guests to enjoy. Enter through the inflatable ramp which prevents bumps, bruises and provides comfort for your children. Once inside they can bounce, jump and play with their friends in the spacious bounce area that includes an inflatable basketball hoop. Inside the bounce area is the climbing area that once at the top opens up to the dual lane slide at the top. Your children can race their friends to the bottom of the inflatable slide, on one of two slides. Once at the bottom the will encounter the inflatable bumper that gives a soft cushy landing. Your kids will exit and run around to enter once again for hours on end. This 4n1 combo bounce house is sure to be the hit of any party. Be sure to check out our "wet" version of this colorful combo bounce house.